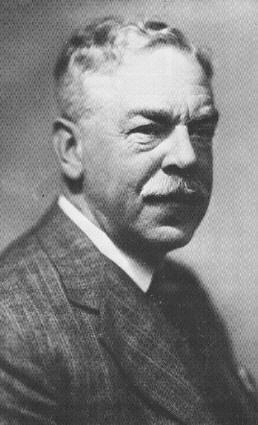 Sir Nigel Gresley is probably the most famous locomotive designer associated with the LNER, and served as the LNER's Chief Mechanical Engineer for most of the LNER's life. Gresley was born on 19th June 1876, the fifth child of the rector of Netherseal (present day Derbyshire), the Reverend Nigel Gresley. Due to ante-natal complications his mother gave birth in Edinburgh, rather than Netherseal. Gresley was schooled at Marlborough College, before becoming an apprentice at Crewe Works. This apprenticeship was with F.W. Webb, during the races to the North. On completion of this apprenticeship, Gresley considered his practical knowledge to be lacking, so then spent a year working as an improver in the fitting & erecting shops at Crewe. For design and drawing experience, Gresley moved to the Lancashire and Yorkshire Railway (L&YR) in 1898. At the L&YR, Gresley worked under the engineer J.A.F Aspinall, and worked with a number of innovative designs. He also ran the materials test-room, and then became the foreman of the Blackpool running sheds. After Blackpool Gresley moved to the L&YR Carriage and Wagon Department, and by 1904 he had become the assistant superintendent. In 1905 Gresley resigned from the L&YR, and became the superintendent of the Great Northern Railway's (GNR) Carriage and Wagon Department. At the age of 29, this move began Gresley's close association with Doncaster which would continue for the rest of his life. In 1911, Gresley was made the Chief Mechanical Engineer (CME) of the GNR. Gresley's early locomotives showed signs of innovation, including a large boilered 3-cylinder 2-6-0 ( K3 ) in 1920. His first 3 cylinder Pacific ( A1 ) Great Northern was built in 1922. In 1923, Robinson was the LNER's first choice as CME. However, Robinson was close to retirement, and suggested the young Gresley would be a better choice. And so, Gresley became the LNER's first CME. Gresley chose a Big Engine policy for the LNER. This was especially suited to the mainline services. For other services, Gresley preferred to stay with well-tested pre-existing designs. This was particularly important because of the LNER's generally weak financial situation. 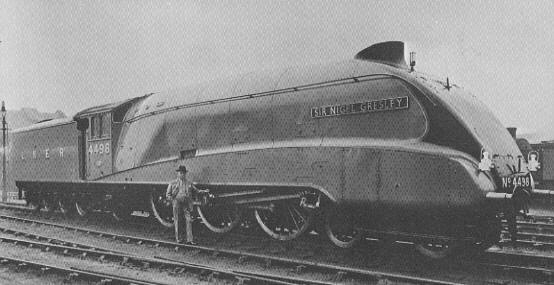 Sometimes a smaller engine was required, and Gresley would create an outline design, and allow others to complete the design. This is how such capable classes as the J38, J39, D49, and B17 were designed. Gresley became one of Britain's most famous locomotive designers with his famous line of Pacifics. These started with the GNR A1 (which continued to be built by the LNER, and then upgraded to A3), and peaked with the famous A4 streamlined engines. Of the distinctive A4s, Mallard still holds the world speed record for a steam locomotive. Many aspects of his Pacific designs can be found in his other large designs, such as the V2 and his Mikados. Gresley was knighted in 1936, and died in office on 5th April 1941. He is buried in Netherseal (Derbyshire).